Mr. Lewis has more than 40 years experience in the Oil and Gas and Mineral exploration industries. He has held various positions including Project Geologist, Project Manager, Senior Project Geologist, and Vice President Exploration. He also was an integral member of the development team that explored, and developed the Cortez Hills deposit in Crescent Valley Nevada. In 1973 Mr. Lewis started his career in the Oil Fields, and worked in the Geophysical, and Drilling industries until 1981, when he became a Petroleum Landman for Westburne Petroleum & Minerals. While there he was responsible for the acquisition and disposition of interests and maintaining title to petroleum lands in various locales in the United States, and Western Canada. In 1989 he started his own business as a consulting geologist and has worked in numerous locations over the past 20 years, including the United States, Mexico, Canada, Portugal, Chile, Africa, India and Honduras. Some of the positions he held include: working with Teck Cominco in 1996 evaluating and exploring precious metal deposits in Southern Mexico; Project Manager on the Farim Phosphate deposit for Champion Resources in Guinea Bissau, West Africa in 1998; Project Geologist in 2001 and 2002 for Crystal Graphite Corporation, Project Geologist on the Midway Gold project in Tonopah Nevada, followed by two years as Senior Geologist at the Cortez Joint Venture in Crescent Valley, Nevada. By August 2005 he was named Vice President of Exploration in Portugal for St Elias Mines, working on the Jales project, and developing grass roots projects in Nevada. Following his experience in Portugal and Nevada he consulted to Selkirk Metals and New World Resource Corp. on projects in western Canada and Nevada. Most recently he consulted to Kinross Gold USA evaluating possible acquisitions. Mr. Goss graduated from Wayne State University with a Bachelor of Science Degree in Geology in 2003, and apart from a short stint working for Kennecott Exploration during the early exploration stages of the Eagle Project in Michigan’s Upper Peninsula, has been based in Northern Nevada since. On arrival in Nevada he worked as a staff geologist for Cameco Corporation, and its subsequent spin out company, Centerra Gold Inc., where he helped contribute to the expansion of the +1 million ounce REN gold deposit that was eventually taken over by Barrick Gold. Mr. Goss has held several other project geologist positions prior to eventually founding Rangefront Geological in early 2008. Brian has built Rangefront into a premier geological services company that caters to a large spectrum of clients in the mining and minerals exploration industries. Since mid-2012 Mr. Goss has served as the President, Chief Executive & Financial Officers, Treasurer, & Director of Graphite Corp., a junior OTC exploration company exclusively focused on exploring for battery grade graphite deposits in the continental USA. Mr. Brown is a professional mining engineer with more than 35 years experience in the mining and exploration industries in Australia and Indonesia, including 22 years at Australian based coal producer New Hope Corporation. During this time he held positions of increasing responsibility from front line mine planning and supervision, land acquisition, government approvals and mine and business development. James is the Managing Director of Altura Mining Limited (ASX: AJM) an Australian listed company that recently put their Pilgangoora lithium mine in Western Australia into production, and who are currently working towards doubling the mines capacity. Since his appointment as General Manager in 2008 and subsequently Managing Director of Altura in September 2010, Mr. Brown has overseen the growth of Altura from $10 million to over $250 million in market capitalization and raised in the neighborhood of $200 million dollars, which has mainly been dedicated to the development and current expansion of the Pilgangoora mine. 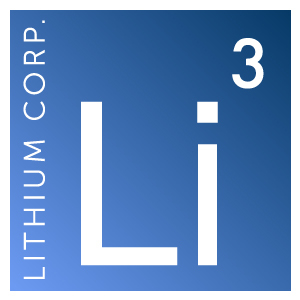 James is a member of the Australian Institute of Company Directors (MAICD), and currently also sits on the board of Sayona Mining Limited, another ASX listed company currently developing the Authier lithium project in Quebec, Canada.